The golf course is the one place where men can take a bold fashion stand without fear of the fashion police. Now Devereux, an innovator in men’s golf and resort clothing, takes the best of golf course chic to the next level with its Fall 2016 Americana Collection. Founded in 2013 by brothers and avid golfers, Robert and Will Brunner had a vision, to give men the tools they needed to develop a sharp fashion sense, on and off the course. Robert, serving as the company’s creative director, says he purposely designed the collection around a color palette to counter the in-your-face feel common to some sportswear lines. Instead, opting for fall colors that make a man feel like a man without compromising his sense of style. Devereux is fascinated by resort life in America and the fashion that surrounds it, he commented. Our Americana collection offers a selection of shirts that will appeal to the jet-setting man who is at his favorite resort for the week, or the sophisticated man looking to exude a cool confidence in a casual office environment. We’ve evolved from a golf-based collection to one that offers solutions for every aspect of the resort lifestyle. 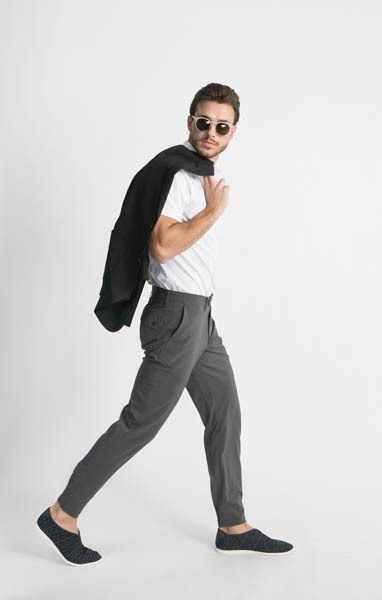 Seeking to bridge the gap between fashion and progressive golf styles, the Brunners realized that men want clothes that perform, exude style, fit properly, and move seamlessly from workday to weekend. The Americana Collection easily lives up to Devereux’s high standards with its simple-yet-sophisticated pieces featuring contemporary colors, superb attention to detail, and easy versatility. Beckham Polo: Raglan style performance players knit blend, which features a tri-blend of fine pima cotton, polyester and spandex. This polo provides premium performance and moisture management for a variety of pressure-packed life moments. 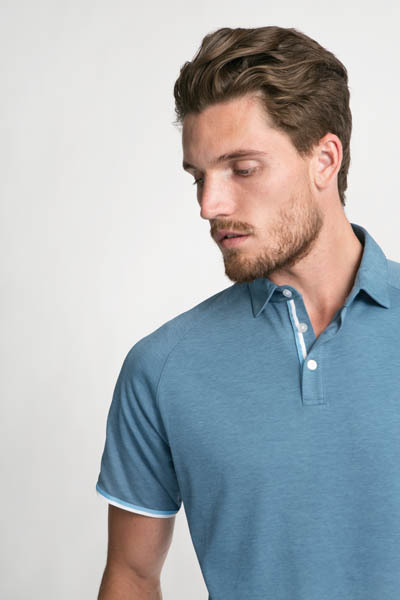 Whether standing over a 20-foot putt to win a skin, or pitching a big idea to the boss, the Beckham polo’s technical lightweight fabric construction is guaranteed to keep the wearer cool. Available in white/navy, café/victory red and navy/pura vida blue, its noteworthy features include a spread collar, heather effect, 3-button placket and striking grosgrain detail. Collin Sweater: This Two-Tone Crew is constructed from 100% pima cotton. This comfortable, lightweight Pima knit offers expanded ribbed side vents for maximum comfort on and off the course. Available in a Mojave/Victory and Mojave/Navy. Phillip Blazer: The Phillip allows the Devereux man to dress up any casual look for a night on the town or meeting with clients. Constructed of a 55% Wool/ 45% Polyester blend, the Phillip is a technical, lightweight woven wool blazer that offers easy care. Available in a Navy color.